As a caveat: We - Torontoghosts, Ontarioghosts, and/or PSICAN - are not officially related to or speak for The Tollkeeper's Cottage site/museum. To contact them directly, please click the link in the article below and visit their site. Sometimes, the best stories begin with a coincidence... and the best stories are also often in the smallest places. It's a small cottage... three main rooms for the historic site with a large (about equal size) visitors centre attached at one side. 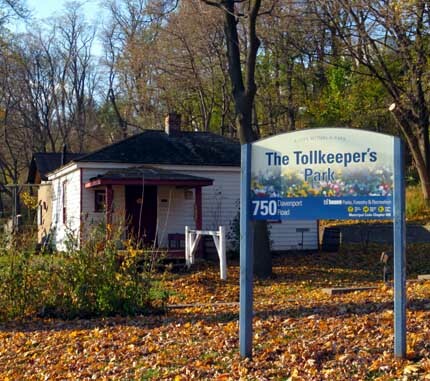 Unlike many heritage site museums, the Tollkeeper's Cottage is not a stately home nor a military building, but a home for the family that would collect the road tolls to those entering the young city of Toronto via Bathurst street. The cottage, officially at Tollgate #3, dates back to 1835 when the operation of the site first went into service. A fee was collected either at the window (which, of course, is still there to be seen,) of the cottage or by a stick with a basket attached to it in the case of large/tall carriages. Fees varied, but In 1851 the very reasonable price of six pence was collected from people with a cart or carriage drawn by two horses as an example. The story of the cottage's more recent history is interesting too. After the end of the toll roads into the city, the cottage became a residence which was still used as such until 1993 (They don't make 'em like they used to!) and the property it was on (it had been moved to another nearby site in 1895,) was slated for redevelopment and the cottage stood to be lost... luckily, it was recognised and purchase as a historic and heritage building by The Community History Project and positioned in its current location. 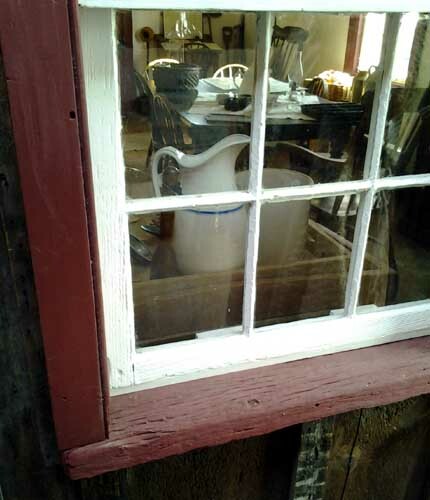 Although not ghostly, and potentially completely explicable, it is interesting to note (and was pointed out to us on our visit,) there is a child's hand print on one of the original windows that, according to the volunteer we spoke to, does not seem to be able to be cleaned off. 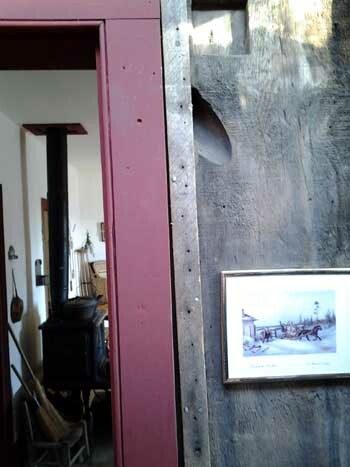 Despite washing and the window being in the controlled environment of the visitors centre (the Western exterior wall of the cottage is enclosed in the new visitor's room,) the hand print comes back and remains. Near this, one of the large timbers near this window, despite being well extremely old and visibly very dry, still excretes pine tar/sap. The thick flowing stream still crystallizing on the outside of the cottage very visibly. Now, I know for a fact that there are probably five or six good "natural" or "normal"reasons for pine sap to continue to flow... and a handful of natural or normal reasons the hand print is still there on that window, but the volunteer isn't sold on any of them... and as the site is far too small to entertain the notion of a "ghost tour" or be a ghost tour destination really, one has to wonder about these things and why they're considered odd... there's little to gain from being dramatic about any claims. This may be a ghost story... or a study in sociology and folklore... or both because, who knows if perhaps a piece of yet-to-be-found history (and/or potential mythology) will attach itself to these interesting features. Either way, it's a lovely and marvellous museum and well worth making a trip to see despite it's diminutive nature. The guides are knowledgeable, the site interesting, and there are often classes, courses, and demonstrations planned in and around the cottage.